Why Choose Dynamic Smile Design in Orlando? Our philosophy at Dynamic Smile Design is to build lasting relationships by providing exceptional, personalized care. 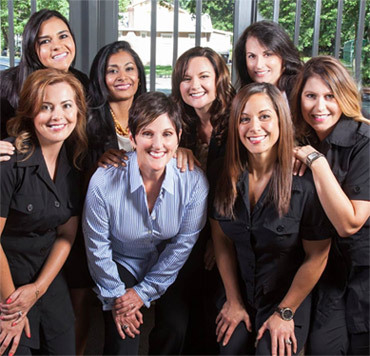 Dr. Puig and our team pursue excellence through continued education, personal and team growth, and mastery of leading edge dental technology - all delivered with exemplary customer service. 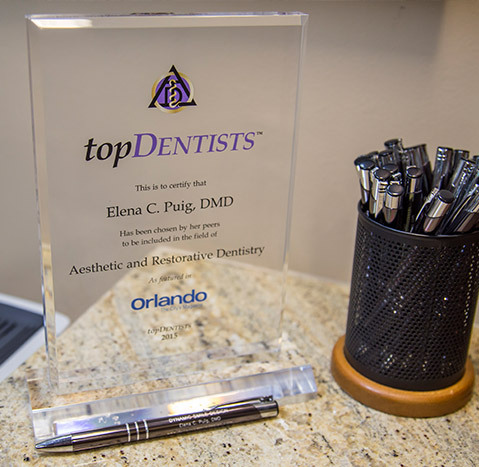 She strives to earn her patients' recognition as one of the best dentists in Orlando. 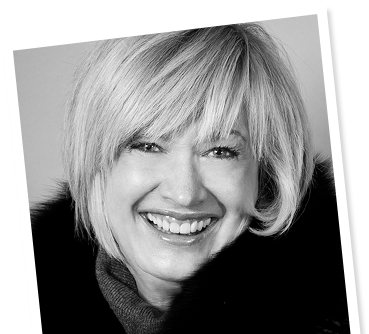 Dr. Puig is renowned as an exceptional cosmetic dentist and has won several awards for her work. Her patients all know her as a skilled and compassionate caregiver. We invite you to see what our patients have to say about their experiences with Dynamic Smile Design. Giving back to the Orlando community is an important part of our personal and professional philosophy. Our goal is to raise the quality of life for as many people as we can. To that end, Dr. Puig volunteers every year at the Community Dental Clinic, donating her time and services to the underprivileged. Our team also participates with many local and national charities. In October of 2009, we walked in the Susan G. Komen Breast Cancer Walk, and Dr. Puig sponsored many patients, family members, and friends, as well as donated funds to the cause. Any time we can help our neighbors and friends, we're happy to lend a hand. In the future, we look forward to participating in more community events and sharing them with you on our website. If you have any questions about the charities we're involved with, just ask! We know visiting the dentist is hard for many people. That's why we do everything we can to make your appointment as pleasant and relaxing as possible. We offer many amenities to make your visit fly by. 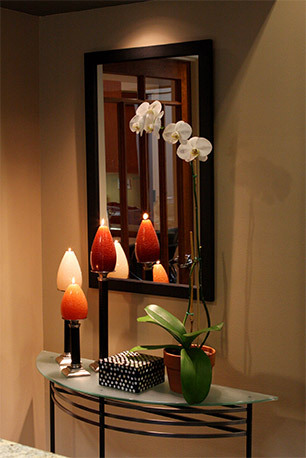 Few practices offer the comfort and pampering you’ll experience at Dynamic Smile Design. Relax in our pleasant, beautifully decorated environment with aromatherapy, warm towels, and a complimentary hand paraffin wax treatment. Enjoy garden views and private headphones to listen to your favorite music—or if you prefer, watch a movie or your favorite television show on an overhead flat-screen TV. At Dynamic Smile Design, we believe that a trip to the dentist shouldn’t be stressful. We’ll do everything we can to make you feel comfortable and cared for. Dr. Puig understands that some patients are apprehensive about visiting the dentist. That’s why we go to great lengths to provide a soothing, relaxing experience. Our contemporary design and calming atmosphere are evident throughout our beautiful facility. Gone is the traditional cold, clinical atmosphere of a doctor’s office. Instead, you’ll find soothing details at every turn. Help yourself to a calming cup of herbal tea, bottled water, and some snacks before or after your appointment. During your visit, the level of comfort and the amenities we provide may make you forget that you’re at a dentist’s office! Dr. Puig’s philosophy of patient care includes anticipating your needs. We do this by taking the time to understand your specific preferences. The Dynamic Smile Design team would love to become your Orlando dentist practice. A relaxing atmosphere is only as good as the people who tend to you. You’ll find our team eager to make you feel at home. They’ll answer your questions and find out what you need to ease any stress you might experience. One of the most frequent compliments we receive is how courteous and service-oriented our team is.